The three 3 Diamonds satellites are a pathfinders of 3U CubeSat size for Sky and Space Global's 200 Satellite LEO constellation. Sky and Space Global is planning a network of nanosatellites for narrowband communications that it expects will cost $160 million or less to complete in total. The company, located in the U.K., Israel and Australia, has fully funded the first three satellites to precede an initial constellation of 200 nanosatellites. The initial constellation will focus on equatorial coverage from 15 degrees south latitude to 15 degrees north. 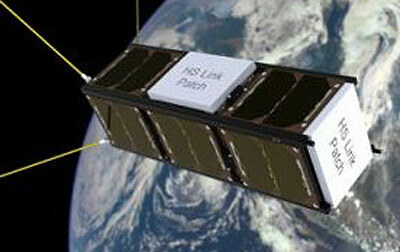 The three pathfinder cubesats are under construction by GOMSpace. The three pathfinder satellites are to be launched in 1Q 2017 as secondary payloads on an Indian PSLV-XL. For the constellation, consisting of larger Pearl satellites, Sky and Space Global has contracted four launches of Virgin Galctics LauncherOne with an unspecified number of satellites into a low inclination orbit. In September 2017, the company announced, they have used the three pathfinder satellites to transmit a voice call, as well as text and images.